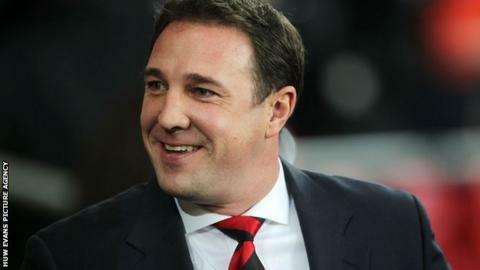 Cardiff boss Malky Mackay has accused clubs of short-term thinking after the sacking of seven managers in a week. Owen Coyle's departure from Wigan was the seventh dismissal of a Premier League or Football League manager in seven days. "It's a precarious industry and there's a lot of short term-ism," said Mackay. The Scotsman's own job was the subject of speculation when head of recruitment Iain Moody was removed by club owner Vincent Tan in October. Moody was initially replaced by an unknown 23-year-old Kazakh Alisher Apsalyamov, who had previously been on work experience with the club. Apsalyamov has since stepped aside temporarily from his role over a visa issue, while Mackay has said he intends to stay at Cardiff. Mackay told a media conference that the managerial sackings of the past week were disappointing. "I was at an LMA [League Managers' Association] event last night and we were discussing this," said Mackay. "Richard Bevan [LMA chief executive] told the assembled group that 27 coaches and managers in the last seven days have lost their job - that's 27 people that are going back to their families that don't have work any more. "That's what you're looking at and that's really poor - that's people out of work as of last night. That's 27 of them this week were shown the door - so it's disappointing." Mackay, previously manager at Watford, added he felt clubs with a longer term plan were more likely to succeed. "You find the clubs that invariably become successful or stable are the clubs that have stuck to their guns when the world we're in [is one] of immediate news and over-reacting - who's next, who can we target next?" he added. "I think long-term planning, stability and consistency in terms of the people at the top going forward is what really breeds long-term stability in this division and I think you have to have that little bit of foresight." Mackay believes Cardiff's Wednesday night opponents Stoke City are a good example of what can be achieved. Previous manager Tony Pulis guided the Potters out of the Championship and kept them in the Premier League for five seasons before making way for Mark Hughes in the summer. "Tony Pulis did a great job at Stoke, make no mistake," said Mackay. "I think that will take time for it to adjust to the side Mark wants, it normally takes two or three transfer windows for that to happen. "But he's a very experienced manager, he's been around for a long time so I've no doubts that he'll end up with a squad of players that will work hard for him and they will be difficult to play against."